With five games left in the season, the Youngstown State University women’s soccer team has had a rocky season to this point. The team is 5-8 on the year, but has struggled since hitting conference play going 0-4. The slow start in conference play is something that head coach Will Lemke was not expecting after last season’s success. The team was 7-9-2 a year ago, but boasted a 6-0-2 home record. This season the Penguins are just 3-5 at home. As a team consisting of 10 freshmen and eight sophomores, some growing pains were expected for the YSU women’s soccer program. Though this season may not have gone expected to this point, the youth on the team points to a bright future for the Penguins. Due to size of the freshmen and sophomore classes and injuries to Katie Hohmann and Katie Montgomery this season, the underclassmen have been forced to step up and take a larger role. McFarland believes getting freshmen early playing time is a huge advantage that has already shown signs of paying off. Coach Lemke thinks that playing freshmen early is important for their development, but his number one focus is on winning now, not the future. 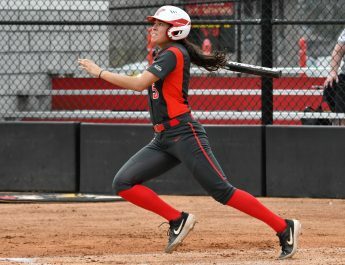 With five games remaining this year, the Penguins will have a chance to rise from the cellar of the Horizon League standings. Two of the Penguins’ remaining games come against the University of Wisconsin-Green Bay and University of Illinois at Chicago. Both are tied with the Penguins at the bottom of the Horizon League.